If you need to know one thing about me, it is that I am a huge denim hoarder. I live in denim 99% of the time. Whether it is skinnies, boyfriends, cut-offs, bell bottoms, or distressed you name it I probably own it in every wash. So, if you were ever looking for a reason to be-friend me, I can guarantee that my denim collection would rank high on that list. You can imagine my excitement when I had the chance to partner with GStar Raw! 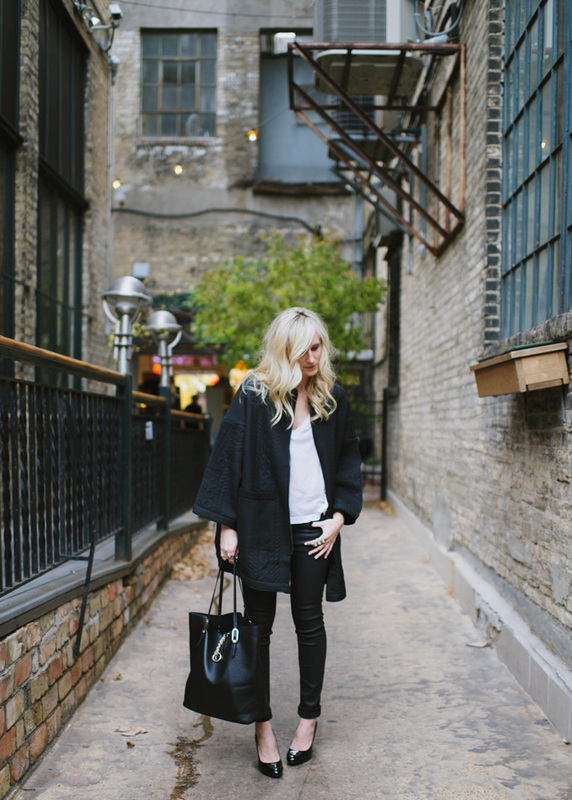 Me and my good friend Chelsea from Zipped Blog had the chance to style a mini lookbook from their fall winter collection, and let me tell you I fell in love with these jeans the moment I put them on! I love how we each found completely different looks but looked so cohesive. GStar has that great mix of cool girl meets the everyday girl. I am really loving the dark washes that they have for fall/winter. When I went in to choose a style for the shoot I literally tried on every pair. I love how much thought is put in to every single stitch placement on GStar's denim, it is truly an art form I can appreciate! I also discover they have amazing coats. Which is the second reason to befriend me. I love a good coat and I am not scared to find unique shapes to invest in. I love a little drama given from a great shape! 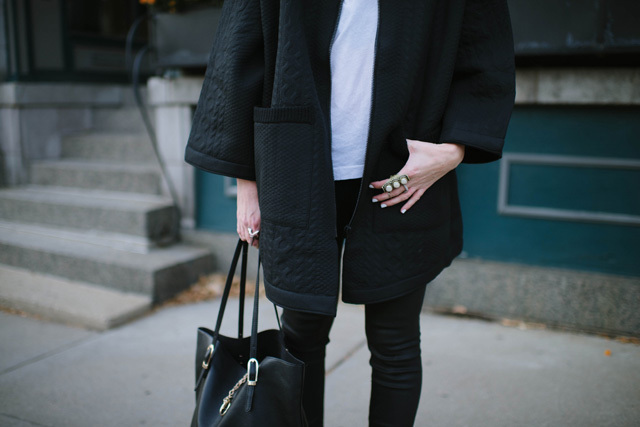 I loved this oversize piece here that I am wearing. Black is still having a moment, because let's be real, when isn't it? So, of course, I went with the usual monochromatic palette that fuels my closet and paired the jacket with these amazing skinnies here that slim your legs like no other! Trust me they are like magic! When I do a tone on tone look I try to amp it up by mixing proportions. I am huge on pairing skinnies with a wider top with a lot of volume to it. Topped it off with a GStar hat (find it here) to help make the look more casual. Huge thank you to Kari of Living Life's Moments Photography for the beautiful images. Looking great ladies! The Lavand Handbag from Primrose Park fits perfect with GStar Raw!